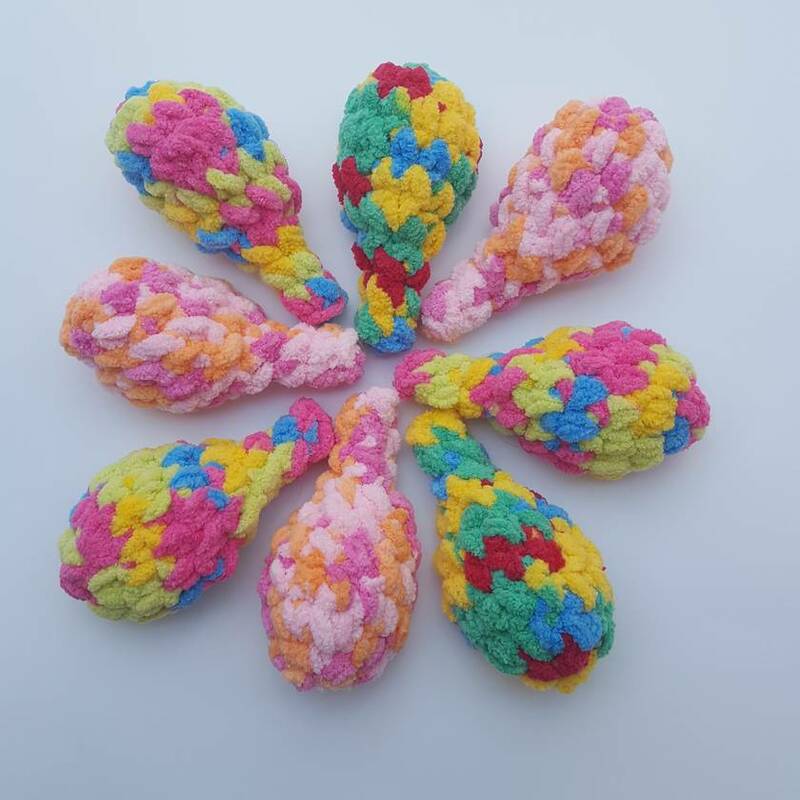 These multi coloured crocheted water balloons are perfect for some earth friendly water play. 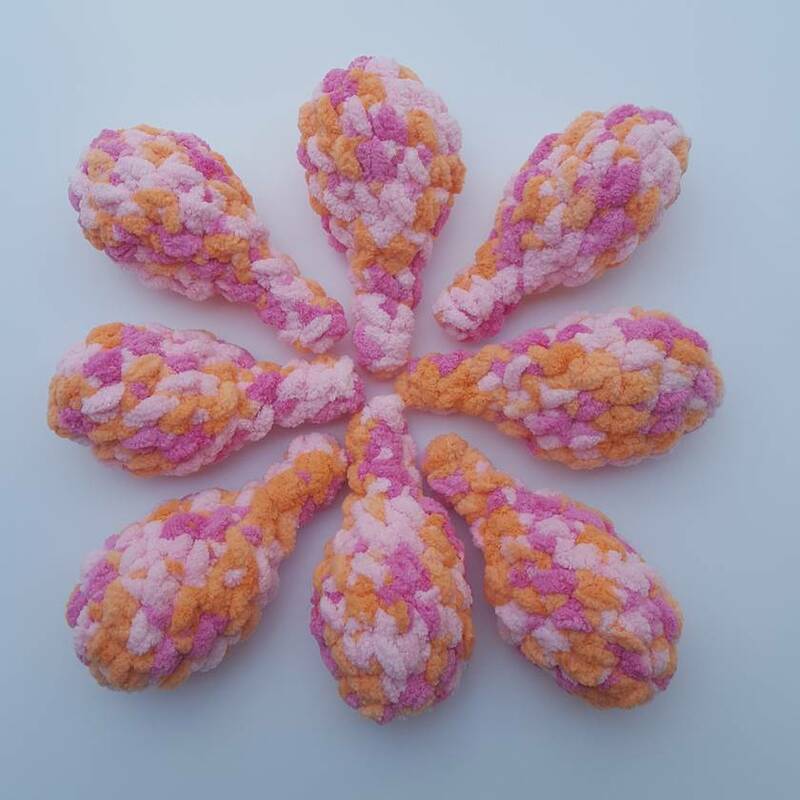 They don't need filling, you just dunk them in a bucket and throw (2 or 3 times before they need re-dunking) They are crocheted with a lovely, soft, squishy chenille type yarn, (100% polyester) that is very absorbant and easy for children and adults alike to handle. 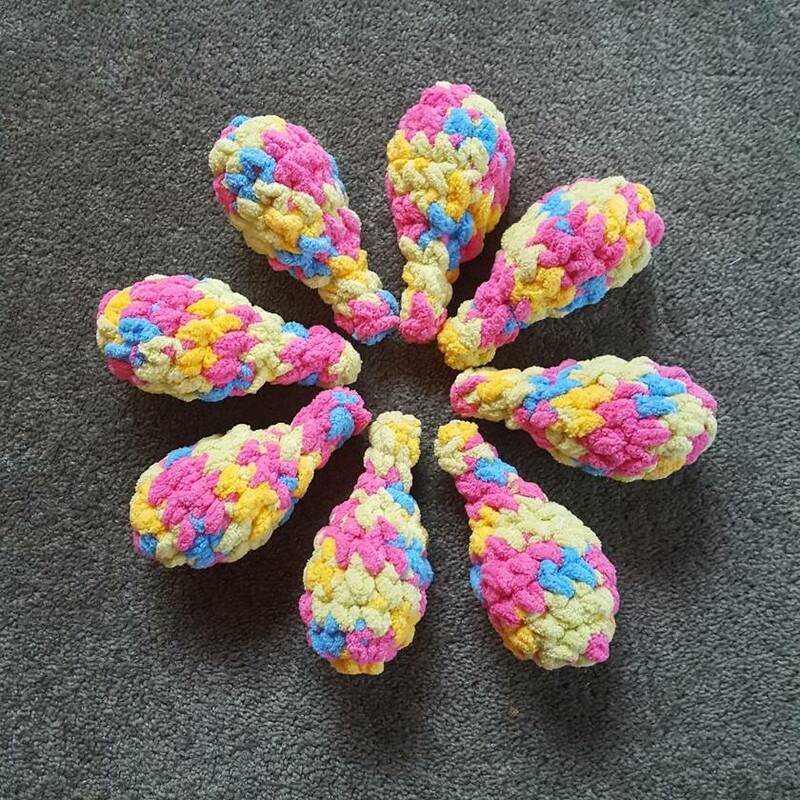 When you finish playing with your balloons, simply peg on the line to dry! Please note: colour may not be quite as bright as computer shows. Contact neeveynoonar to enquire about payment or shipping options. 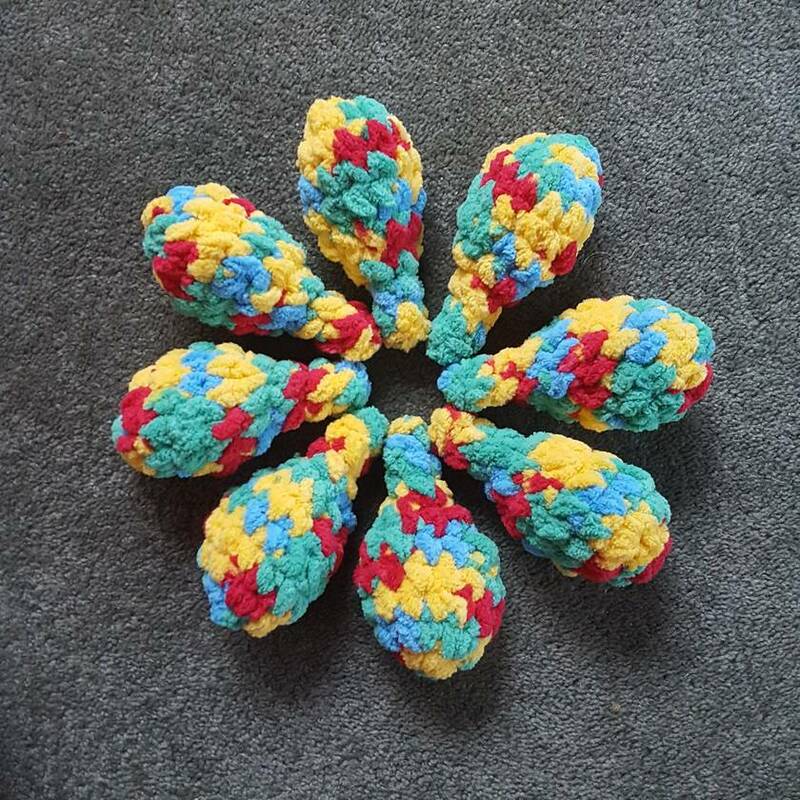 If a pattern makes me laugh or smile, it goes on the to-do list........ It's a big list!